Denver (Jan. 28, 2019) – A fresh perspective on hunting television is now available on MyOutdoorTV (MOTV), in the form of The Game Chef. Renowned restauranteur Angelo Georgalli takes the audience on a wild ride around New Zealand, hunting and cooking all different kinds of game found on the island. His English, Greek and Italian background allows him to display a unique mix of culinary styles in The Game Chef. Come along with lauded restauranteur Angelo Georgalli on an expedition around New Zealand, as he shows his methods for harvesting, cleaning and cooking wild game. The Game Chef brings a twist to the classic hunting television model. It shows not only the hunting aspect, but the processes following the harvest as well. Georgalli brings his skill set as a trained archer to the table in this unique and intriguing program, now on MyOutdoorTV. DENVER (January 28, 2019) – Follow Bill Dance in Bill Dance Outdoors on World Fishing Network, every Tuesday at 9:30 p.m. Bill Dance Outdoors is the longest-running and most-popular fishing show in America, and it just keeps getting better. LAS VEGAS (January 21, 2019) – Honoring a lifestyle that is celebrated by millions of Canadians, Outdoor Sportsman Group Networks, in partnership with Outdoor Media Group, recently launched Sportsman Channel Canada. The announcement was made today by Outdoor Sportsman Group President and CEO, Jim Liberatore and President of Outdoor Group Media, Mark Yelic. Sportsman Channel, one of Outdoor Sportsman Group’s leading television networks in the U.S., presents adventure-filled, highly-entertaining and educational hunting, fishing and shooting programs brought to life by authentic storytelling. With the launch of Sportsman Channel Canada, the new network is in line to become the immediate destination for viewers who value and cherish Canada’s rich outdoor traditions. Sportsman Channel Canada, like its U.S. sister channels – Outdoor Channel, Sportsman Channel and World Fishing Network – will feature the most trustworthy and reputable experts in the outdoor industry. Programs will offer instruction, product knowledge, the latest tips and techniques, as well as unparalleled storytelling. Sportsman Channel Canada is available throughout Canada on Bell, Shaw, Videotron and numerous other small operators throughout the provinces. About Outdoor Group Media: Outdoor Group Media has been the leading voice in outdoor adventure in the Canadian market. It publishes Outdoor Canada and BC Outdoors magazines, Canada’s most-widely circulated fishing and hunting magazines. Outdoor Group Media partnered with Outdoor Sportsman Group in 2016 on World Fishing Network Canada, a network that has now successfully rebranded to Sportsman Channel. DENVER (January 21, 2019) – Sportsman Channel will feature an hour-long sheep documentary funded by the Wild Sheep Foundation titled Circle of Life which will premiere on Saturday, January 26 at 7 p.m. on Sportsman Channel. The feature documentary will be a part of Sportsman Channel’s My Saturday Marathon High Country Rams which also includes: Petersen’s Hunting Adventures, Jim Shockey’s Hunting Adventures and MeatEater. The one-hour documentary, Circle of Life focuses on the history of wild sheep conservation and the people and organizations who worked relentlessly to help restore healthy populations of wild sheep to North America. Living in some of the toughest landscapes in the world, wild sheep are a magnificently breathtaking animal. Unfortunately, during the late 1800s and early 1900s wild sheep populations across North America fell drastically. In the 1970s, a group of concerned sheep conservationists came together to help restore the struggling populations. Through these efforts, sheep populations in North America have skyrocketed, with increases in herds up 2,000 percent in some areas. The Circle of Life film is a celebration of wild sheep in North America and the incredible conservation efforts that helped restore their populations. The documentary also looks at what the future holds for this great animal. Can sheep herds continue to grow? Will wild sheep be able to coexist with humans and the ever-changing landscapes in this modern world? Circle of Life takes viewers through the history of wild sheep conservation, as well as what it will take to maintain healthy and thriving populations in the future. DENVER (January 14, 2019) – Outdoor Sportsman Group (OSG) has teamed up with Duality Filmworks and Voodoo Fishing Charters for a new series – The Voodoo Crew – that will premiere on Outdoor Channel in April 2019. The announcement was made today by Outdoor Sportsman Group President and CEO, Jim Liberatore. 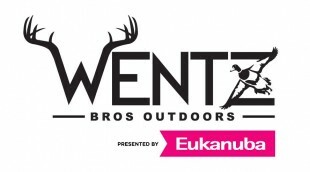 The Voodoo Crew will premiere on Outdoor Channel in April 2019. 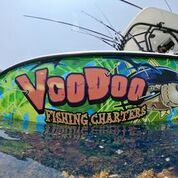 The Voodoo Crew, out of Venice, Louisiana, consists of six custom 36-42’ sportfishing boats with a combined 22 engines that make up Voodoo Fishing Charters’ fleet. Throughout an average year, Voodoo Charters will book more than 1,100 fishing trips and log more than 12,000 hours on the waterways of the Gulf of Mexico. In the season debut, cameras will follow the crew, and its entire operation, from sunrise to sunset while chronicling the grind and everyday lives of the captains, deckhands, staffers and clients that board the boats at dawn in hope of returning later in the day with a giant fish and story of how they battled the fish and Mother Nature. The grind is the life and viewers will quickly find out there is no other charter team that’s better suited for the challenge than The Voodoo Crew. There’s nothing scripted and fishy about the stories that viewers will see in this real-life snapshot of the high stakes charter fishing world. The Voodoo Crew is produced by Los Angeles-based Duality Filmworks led by co-executive producers Brian Quaca and Dave Luce. DENVER (January 10, 2019) – Hollywood Weapons is back with all new exciting episodes on Outdoor Channel. Showcasing some of the most thrilling action scenes in Hollywood, this new season will give viewers a breakdown of the most famous weapons in movie and TV history. Viewers will want to tune in for the all new season of Hollywood Weapons each Saturday at 7:30 p.m. on the Outdoor Channel. Co-hosts Terry Schappert and Larry Zanoff share their weaponry expertise and experience with viewers as they break down some of Hollywood’s explosive past. A veteran of television, film and the Special Forces, Schappert continues to bring his experience as a United States Army National Guard Special Forces master sergeant to the screen. Schappert is joined by Israeli combat veteran Larry Zanoff, who also has worked in U.S. law enforcement. The pair make for a knowledgeable and entertaining duo. With a combined background in the army, law enforcement, firearms manufacturing industry and television, Terry and Larry create an entertaining and educational show. 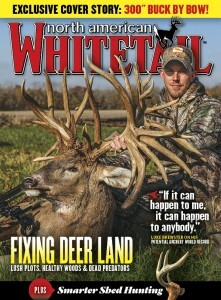 Tune in to Hollywood Weapons, Saturdays at 7:30 p.m. on Outdoor Channel.